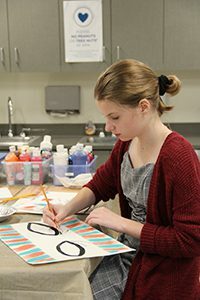 In part because a crew of MPA Upper School students have been creating set pieces for an opera titled “The Consul,” the Arbeit Opera Theatre is extending an exclusive invitation to the MPA community to view the final dress rehearsal. This 1950s-based show deals with issues of immigration and human rights and is intended for audiences of 13 years or older. Parents and guardians are welcome to attend as well! Please fill out the Arbeit Opera Theatre’s form to attend. There is no charge to attend the dress rehearsal, but sign-up is required. Tickets for the live performance on November 29-30 at The Wellstone Center Theater are also available here!